The Jamboree is headquartered at the fairgrounds at the Washington County Regional Park, 5500 W. 700 South, Hurricane, but sends riders all over Washington and Kane counties as well as Mohave County, Arizona. Rides vary in distance between 35 and 65 miles. 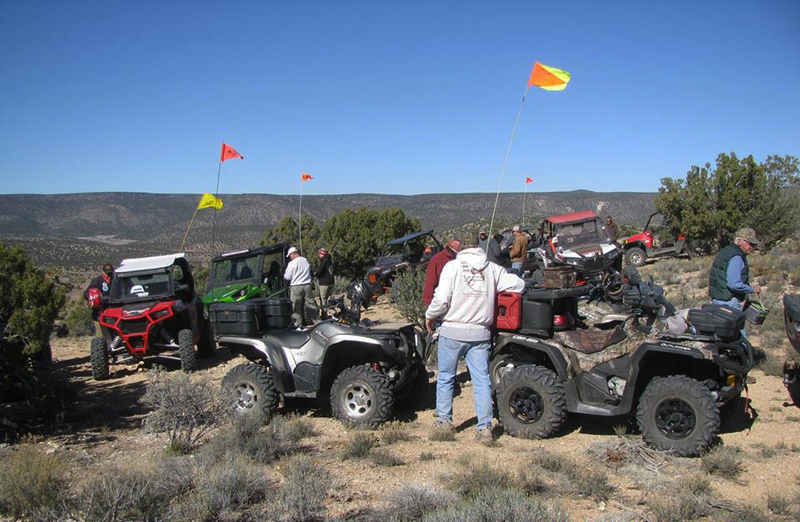 The Tri-State ATV Club was founded so its members would be able to associate and enjoy the extensive motorized recreation opportunities the area offers. Grange said the Tri-State club supports the responsible, multiple use of public lands – and recognizes the rights of private property owners. The organization’s goal is to create a partnership between local, state and federal agencies, private land owners and recreational enthusiasts to identify and improve a trail system for the enjoyment of responsible riders, Grange said. “This event really showcases one of the most significant attributes of the area: our beautiful public lands,” said Kevin Lewis, director of the St. George Area Sports Commission. “During the Jamboree the entire region seems to come alive with energy. It’s such a unique experience and is made possible because of the ease of accessibility to these public lands,” Lewis added. This year the Jamboree expects 550 riders, a jump of approximately 100 from 2016. Grange attributes this increase in popularity to the beauty of the region and wealth of great experiences had by previous participants. Registration is closed for this year’s Jamboree, which ends March 11. Next year’s event is slated for March 14-17, 2018. For information, go to thetristateatvclub.com. It’s great to see the UTV’s and ATV’s filling the motels around Hurricane. This is one of the great events around here.